In the history of the Texans franchise they are 4-0 against the Dolphins. They are the only team in the league that we have never beaten. That ends Sunday. We may only have marginal shot at the playoffs, but one thing we can do is finally end this Texans win streak and I can’t wait. According to Accuscore the Dolphins have a 32% chance of making the playoffs, and with the Titans losing last night that probably went up a tiny bit. We still have to have Baltimore lose both their games or the Broncos lose to the Chiefs, but we do have a shot and that is more than can be said for a lot of teams. This is a big week for us as a club too, because we finally got a logo designed and we are going to have T-shirts made up. We will probably wait until next season unless we make the playoffs, but a lot of people have asked about them and we will be making it happen. Check out the logo designed by comic book artist Jim Callahan below. Another link I was asked to send your way was a reminder to check out the Dolphins 5th Quarter Live show. After every game they do a live wrap up of the game live on MiamiDolphins.com. The old episodes are worth checking out too. And lastly a little bit of bad news as far as I am concerned. Both Michelle and I are going to be out of town this week. She is in Miami for the holidays and I ended up getting stuck in DC. I actually may make it back by getting on an early bus tomorrow, but I have a feeling I will be watching the game with the Arlington/DC Dolphins Fan Club. I hope you guys still pack Third and Long. It should be a big game. Hopefully I will make it in time, but if not, I will see you week 17 and hopefully beyond. Ps. Hope you guys like the new logo. Let us know what you think! In the final 2009 installment of “What’s Your Fantasy,” I break down the players to start, bench, and think about for your Super Bowl lineup.Â This week’s recommendations include sticking with my cardinal rule of fantasy football, not taking chances with uncertain matchups, and playing every 49er with a pulse against the Detroit Lions. As always, we’ve got plenty of music, photos, and jokes for your viewing pleasure. Â Go Fins!! Augh. The Dolphins were robbed by the refs, but it wouldn’t have been an issue if they could have scored in the red zone and didn’t turn the ball over.Â The playoffs are probably out of reach now, but you never know. We still have things worth rooting for though as we have the Texans next week. We have never beat them and they are the only team to hold that honor. We need to end that. I saw Rex Ryan at the bank on Friday and I ran into Darrelle Revis at a nightclub last night. I have yet to try to fight an NFL football player, but if I keep seeing Jets I just might.Â I think I have 15lbs on Revis, although my guess is he can outrun me. I have to give a shout out to my little brother who is a Titans fan. He came out to the game last week and didn’t talk any smack and actually bought shots for Phins fans after the game. I genuinely think he felt bad about beating us. And lastly congrats to Hoss for winning the autographed Vernon Carey ball. We met Hoss at our first official DolfansNYC event during the draft last April and he has been out pretty much every week.Â This year we raised over $300 for the I Will Foundation doing raffles. I hope we can double that up next year. The Dolphins continue their run for a playoff spot as they travel up to Tennessee to face the Titans. This is a huge game for us and I know we’re counting down the minutes until kickoff. Remember if we win out, we can get in the playoffs if the Pats, Ravens or Broncos lose a game, so these are all must wins. 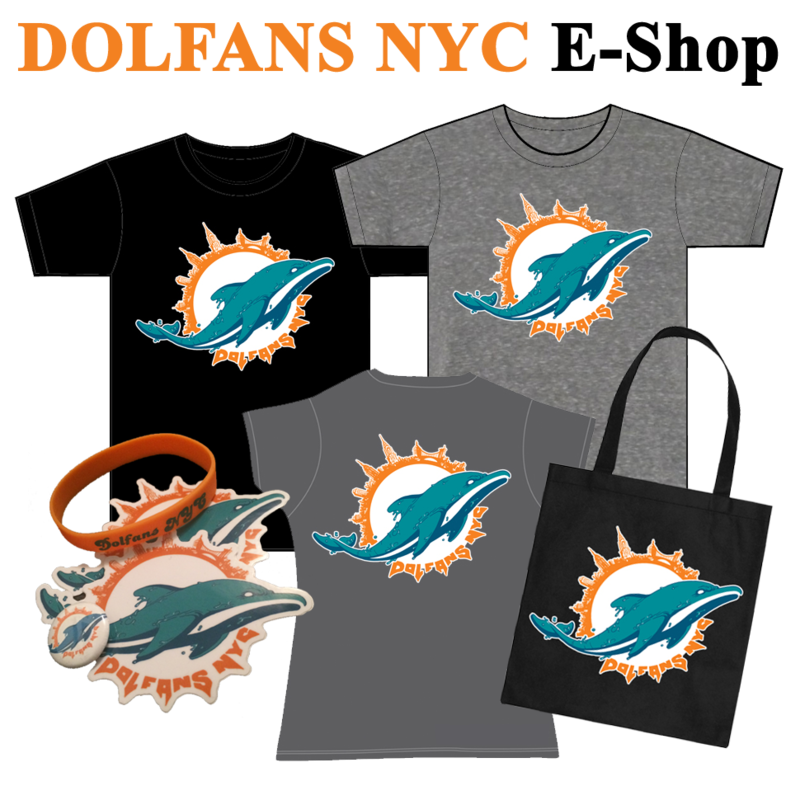 As always, DolfansNYC will be at Third and Long and we can’t wait to see you all there. Since this is the last game before the holiday season kicks into full gear, we figured we’d go all out and raffle off a ton of stuff! We’ve got Dolphins bags, books, photos and footballs, including an awesome one signed by Vernon Carey. The money that we raise will go towards the I Will Foundation and DolfansNYC, so that we can continue to bring the fun every week. And be sure to check out Third and Long’s website. 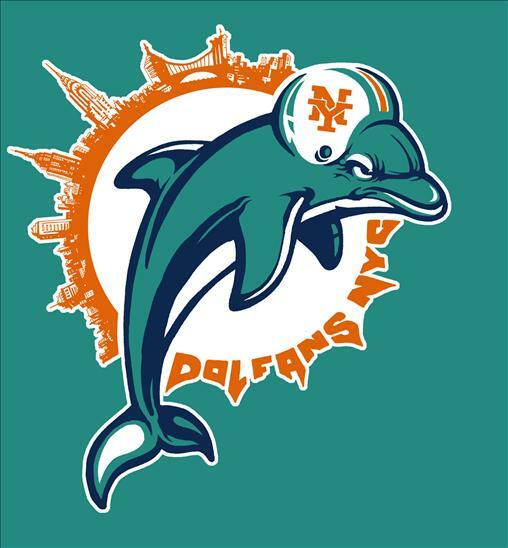 They’ve posted our logo and made it official that it’s the home of New York City’s Dolphins fan base. So don’t let the snow keep you away, it will be warm at Third & Long! Can’t wait to cheer with all of you tomorrow! Unfortunately, we won’t have a video for you this week due to holiday party hangovers technical difficulties.Â How dare they plan those during the fantasy playoffs!Â Anyways, we’re on a bit of a roll — two straight wins for Miami and two weeks with no glaringly bad recommendations for me. Â Coincidence? Â I think not. Â Let’s keep it going in Week 15. Beanie Wells: After splitting carries with Tim Hightower for much of the season, Beanie Wells was finally given a full workload last week and had 103 yards and a TD. Â WIth Detroit and St. Louis next on his schedule, the Beanie Man is a playoff must-start. The Seahawks have given up more fantasy points to WRs than the Lions, Chiefs, and Browns (seriously), makingÂ Antonio Bryant a rock solid #3 WR with potential to be a number two. The Bears’ pass defense has been beatable all year, and top QBs like Kurt Warner, Carson Palmer, and Brett Favre were able to carve them up for big games. Â Joe Flacco should getÂ two TDs for the first time since Week 6. Over the last 3 weeks, the Packers have allowed three passing TDs while getting nine interceptions. Â IfÂ Ben Roethlisberger couldn’t get it going against the Browns, then there’s little hope for him in this one. With Keith Null starting in St. Louis — I mean, how fitting that a QB with the name “Null” plays for the Rams — and injuries to the front line, Steven Jackson should be benched against Houston, who’ve only allowed 155 total rushing yards over the last 2 weeks. The Carolina Panthers have allowed one receiving TD in the last 7 weeks, and that was to the Saints. Â It would take a lot of guts to benchÂ Sidney Rice, but this might be the week if you have other options, especially since he’ll likely get double-teamed without Percy Harvin in the lineup. Arian Foster is the new starting running back in Houston, and he gets a great matchup against St. Louis in his first week. Â Foster’s…Australian for #2 RB. Sorry — we’re still desperate for a sponsor (email us at dolfansnyc@gmail.com!). Speaking of the Texans, the Houston DEF/ST isÂ availableÂ in most leagues, and is a top-five option this week against those swine-flu ridden Rams (they just can’t catch a break). I know Terrell Owens isn’t a sleeper, but he should be in lineups as long as he starts, since the Patriots have allowed at least two TDs to WRs in three of the last five weeks. Â Of course, this could just be wishful thinking on my part. Â Come on, Buffalo! That’s it for this week.Â Remember to stop by Third and Long on 35th Street and Third Avenue if you’re in the New York City area.Â We’ll have our hands full this week with league-leading rusher Chris Johnson and the always dangerous Vince Young, but a playoff spot is within reach with a win.Â Go Dolphins!! Like I said Michelle made a pretty great video this week. The bar was rocking against the Jags and it was a great party. I don’t really have much to say about it so I will let the video speak for it’s self.Â Come out this Sunday and star in the video for next week.Â Go Dolphins! We just pretty much knocked Jacksonville out of the playoffs last week. We are tied with them, but have the tie breaker head to head. What a great game and a great crowd. The picture probably aren’t my best work yet but I am pretty sure anyone in them had way to much fun to care what the pictures look like. We have a great video this week which is going to be a lot better than these pictures and we have a new DolfansNYC logo coming soon.Â Did someone say T-shirts? Get excited. Oh yeah, and as a heads up, we are raffling off an autographed Vernon Carey ball this Sunday! Pictures below. As always double click to get downloadable pictures from our Flickr account. Sorry I am a day late this week. I was out too late Wednesday night watching Short Michelle play the MNF theme as part of a drum showcase at Arlene’s Grocery. She wore her Ricky Williams jersey during the show! You can check the video out here. Anyway, let’s get to what you came here for. My weekly fantasy football advice. Itâ€™s Week 14 of the NFL season and Iâ€™ve got some more fantasy football advice to pass along. Â As always, weâ€™ve got plenty of music, photos, and jokes for your viewing pleasure. Â Go Fins! !